If your favourite hobby is fishing, then your ideal car will have a strong set of criteria. We’ve done your homework for you, to ensure the perfect car for your weekend pursuit doesn’t slip through the net. Fold-down rear seats, masses of interior space, a certain sense of utilitarianism, and - in some cases - the ability to deal with a rough-and-ready dirt track or two, are all-important to keen anglers. 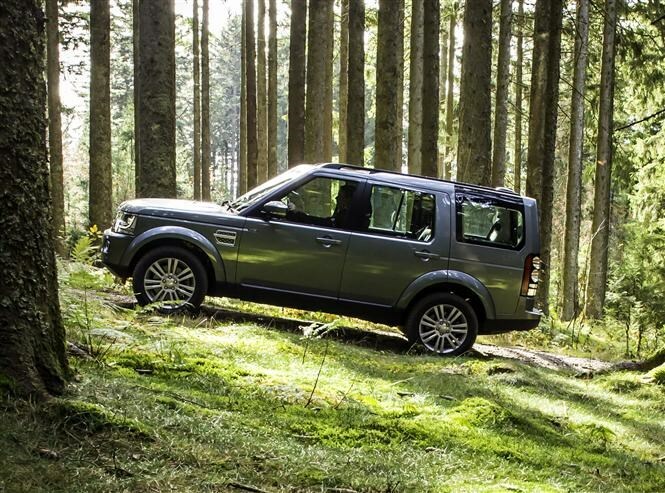 If you need to travel through the wildest wilderness to reach that perfect fishing spot, there’s no more capable vehicle (short of the firm’s Defender model) than the Land Rover Discovery. Alongside that excellent Terrain Response four-wheel drive system, the Discovery packs in seven seats – so you can go group angling – and with the rearmost pair stowed a whopping 1,260 litres of load space is available. At nearly five metres long there’s plenty of room for your rods, and should you decide a swap of bank is required, the Discovery’s 700mm wading depth will mean you can do so without donning waders. The latest Land Rover Discovery SE Tech comes with 19-inch alloy wheels, heated (front) leather seats, parking sensors, xenon headlamps and sat-nav. The 3-litre V6 diesel has a generous 600Nm of torque and a smooth-shifting eight-speed automatic gearbox, so it’s pleasant to drive on the road as well as near your favourite fishing spot. Skoda has never been one to harp on about its abilities but the firm’s Octavia Scout is the Swiss army knife of the automotive world. 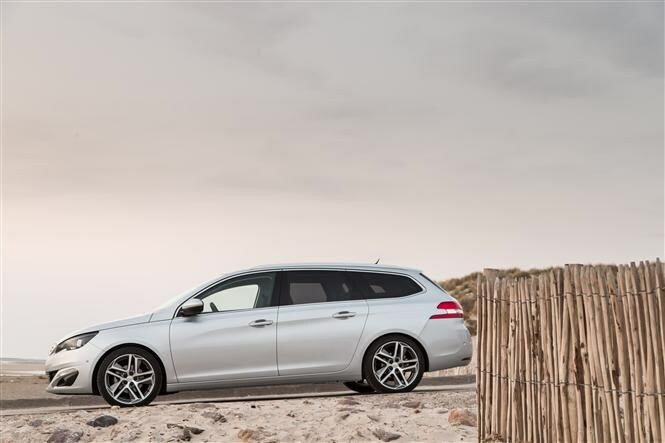 Part estate, part family car, and part 4x4 - it’s perfectly suited for the keen fisherman. With the seats in place the Scout can carry up to 610 litres of gear, while folding the rear seats down extends this to 1,740 litres. The front passenger seat collapses flat too, so if you want to extend your rods inside the car the 2.92-metre length will likely suffice. It’s available with a pair of diesel engines - both two litres in capacity but with either 147bhp or 181bhp - and both come with an on-demand four-wheel drive system and a ride height 31mm taller than the standard car. 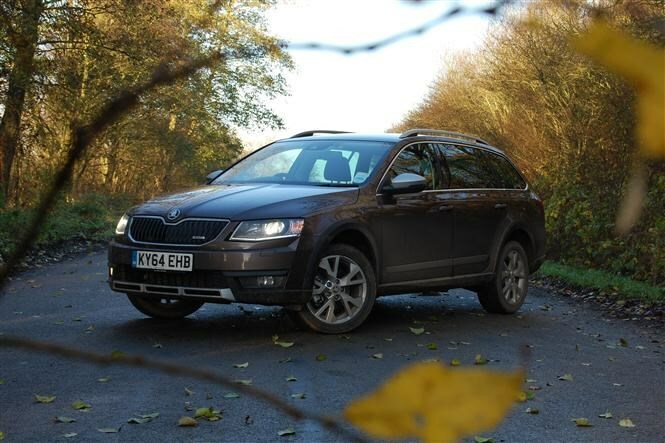 Just like the standard Octavia, the Scout comes well equipped as standard, with Bluetooth connectivity, DAB radio, leather and Alcantara seats complimenting the rugged body mouldings and 17-inch alloy wheels. Long before Impreza STis were careered around supermarket car parks, Subaru sold its cars to farmers requiring no-nonsense vehicles capable of coping with remote conditions reliably. Hot Imprezas have since fallen out of favour, but the firm is back to doing what it did best. 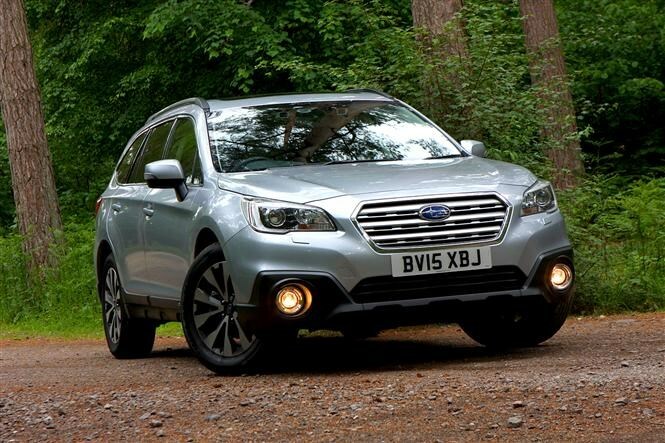 The Subaru Outback is certainly a return to form, treading a fine line between 4x4 SUV and stylish estate car. Now in its fifth generation, all are four-wheel drive with a practical ride height and use boxer four-cylinder petrol and diesel engines. It’s the latter that makes the most sense, though we’d steer clear of the CVT automatic gearbox as it dulls down the driving experience. However, the Outback only provides up to 510 litres of load space when all five seats are in use. Fold the backrest and this climbs to a whopping 1,848 litres, though, and SE Premium models get a useful powered tailgate as standard. The Peugeot might look like a minnow compared with the competition, but despite its diminutive stance, it boasts a boot large enough for 660 litres of fishing kit. Drop the rear seat and you’ll notice they fold completely flat, and the capacity increases to 1,775 litres. The load-through hatch means you can slide your rods into the car while four-up too. Unlike some of the others on this list, the 308 SW can prove particularly cheap to own, leaving you with spare cash for extra bait. Choose the 1.2 e-THP three-cylinder petrol engine and you’re promised 56mpg, despite the 128bhp on offer, though there’s no four-wheel drive option. At least Allure specification comes with plenty of kit, including the firm’s i-cockpit with tiny wheel and a 9.7-inch touchscreen – you can even use the latter to review digital images from a memory stick. Allure models also benefit from DAB radio, Bluetooth connectivity, cruise control, reversing camera and front parking sensors. If you’d rather spend money on the latest carbonfibre fishing reel than mode of transport, then Dacia’s ‘Shockingly affordable’ slogan will likely sound like the catch of the day. 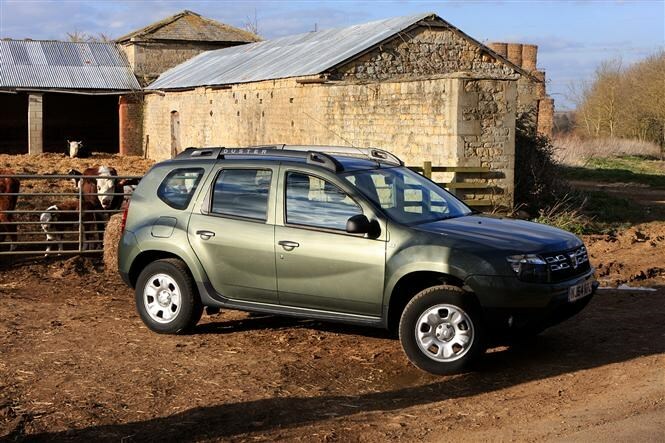 Choose one of the entry-level Access models and you can delight in the Duster’s utilitarian vibe, with grey plastic bumpers and steel wheels. It’s equally sparse inside, so there’s no need to worry if you bring some of the great outdoors in, and is simply equipped with electric front windows, four airbags, and a height-adjustable steering wheel. There isn’t, however, a radio and if you want the 1.5 dCi diesel you’ll need to fork out for the mid-trim Ambiance instead. There’s no car more practical than one derived from a van. Problem is, they usually drive like one. Not so the Ford Grand Tourneo Connect, which feels less all-at-sea and more tied-down than you’d expect – thanks to parts borrowed from the excellent Ford Focus. 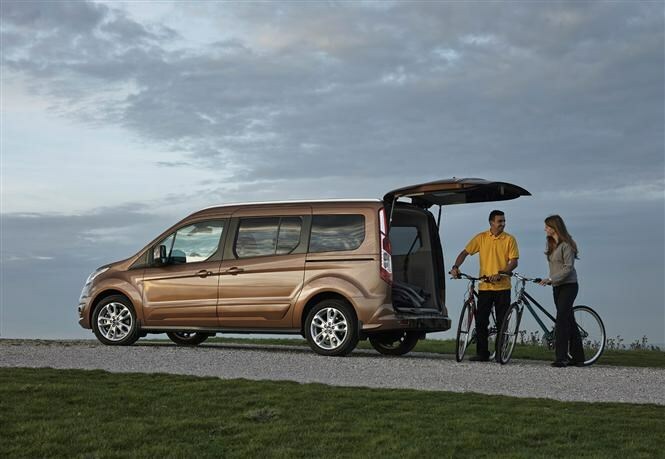 It also looks less van-like than the standard Tourneo Connect, thanks to lengthened sliding rear doors (perfect for access with awkward fishing kit) and a longer wheelbase. The tall roofline makes it ideal for changing into your waders in the dry too. There are seven seats and the cabin is loaded with little storage solutions, though if you fold all the seats forward the loadspace is capable of carrying 2,620 litres of luggage. The front passenger seat tips forward too, so rods over three metres in length can be carried in the cabin, and the dashboard borrows plenty of high-quality components from the car range. Looking like something that has descended from outer space rather than from the deep, this seven-seat Citroen people-carrier is deceptively practical. For a start those seven seats are genuinely usable and when you fold them down boot space rises from 790 litres (in five-seat mode) to 2,181 litres. Cubby holes abound and higher spec models come with an electrically operated tailgate too. 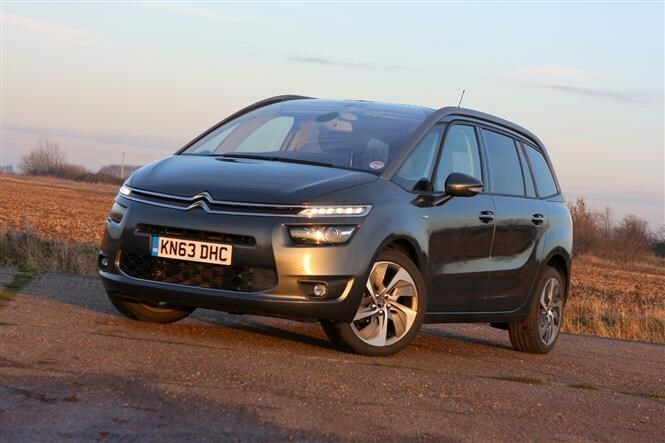 There’s no four-wheel drive model though, so rough tracks may prove the Picasso’s undoing, and though the automatic model’s column-shift is convenient, manual models are more economical. Opt for the excellent 1.6 BlueHDi diesel and you can enjoy over 70 mpg and free road tax. Meanwhile VTR+ models come with a panoramic windscreen, dual-zone air conditioning, seven-inch touchscreen infotainment system and rear parking sensors. For those who want the ability of a Land Rover Discovery, but prefer their seven-seat SUVs a little more wieldy and less utilitarian, Volvo has the answer with its XC90. Dripping with Scandi-cool detailing, including blonde wood inlays and “Thor’s Hammer” LED headlight graphics, the XC90 also guarantees safety, dependability and reasonable running costs. There’s a hybrid T8 model available for those hoping to save the environment, along with a T6 petrol that does the opposite, but it’s the punchy D5 diesel that strikes the best compromise. 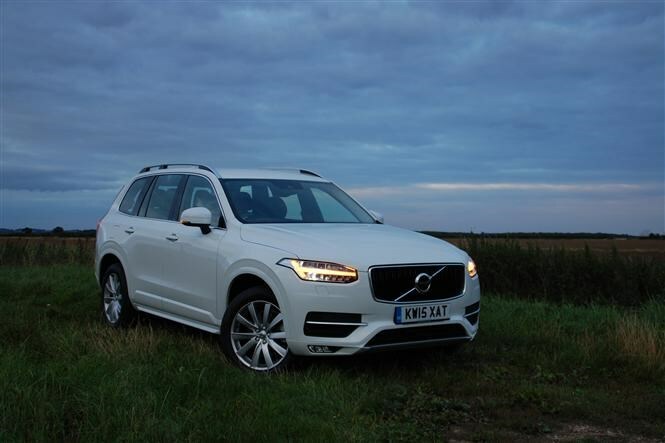 Only available with an eight-speed automatic gearbox and four-wheel drive, the XC90 D5 manages nearly 50mpg and emits just 149g/km. Should the weather take a turn for the worse, you can console yourself with the excellent interior – the seats are some of the best around. And the £3,000 Bang & Olufsen stereo upgrade will be music to your ears. 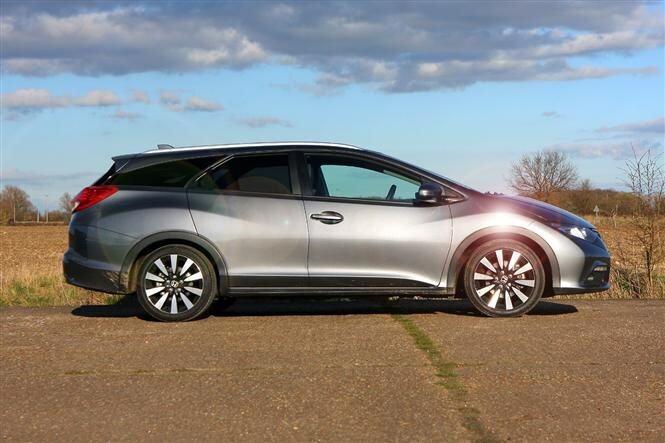 High-spec Inscription models are available, but the smart money is on the well-equipped entry-level Momentum trim. Like the 308 the Honda Civic is in danger of being eaten by the killer whales in this group, such is its small stature – but it also has a massive boot perfect for the amateur angler. It's so big in fact, it betters the Subaru Outback with its 624-litre load area with the seats in place. Drop the rear bench and this expands to 1,668 litres, while the underfloor storage is perfect for hiding smaller items. And it has Magic Seats, which allow the base of the rear seats to flip up – leaving the backrests in place – so you can stow taller items (such as nets) inside the cabin rather than in the boot. There’s a range of engines on offer, but while the line-up is dominated by the petrol models we’d suggest the excellent 1.6 i-DTEC diesel instead. The 0-60mph sprint takes just 10 seconds, but it promises 74mpg and sub 100g/km CO2 emissions. 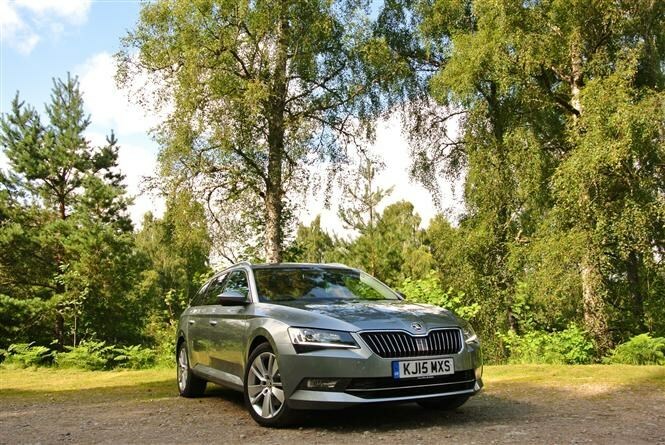 Simply, estate cars don’t come any cleverer than the new Skoda Superb. Whether you need to carry kit or passengers, slide under the radar on the road or stand out from the crowd the Skoda is the automotive equivalent of the perfect cast. It looks great and has one of the largest boots available in any sector: with the seats in place the Superb will hold 660 litres of kit, and folded it’ll take up to 1,760 litres. It’s a square, well-shaped and suitably trimmed load area too, complete with cubbies, storage stays, hooks and even a detachable torch. 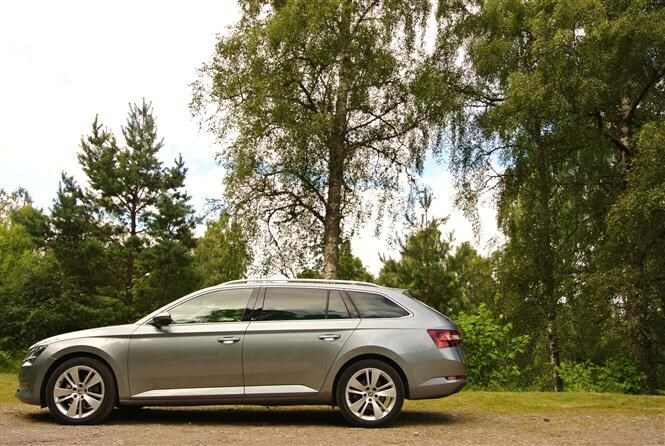 The rear bench has limo-like room for its passengers, while up front the Superb is loaded with kit. Opt for the SE spec which includes Bluetooth, DAB radio, adaptive cruise control, rear parking sensors, dual-zone climate control, a 6.5-inch touchscreen infotainment system and 17-inch alloy wheels. There’s even a pair of umbrellas hidden in the doors should you forget yours and a four-wheel drive diesel with 147bhp is available. Car not big enough? Then how about a proper van? We reckon a mid-size model from the medium van sector offers the best blend of practicality and usability. Here’s our pick of the best. The UK’s best-selling van – and for good reason. 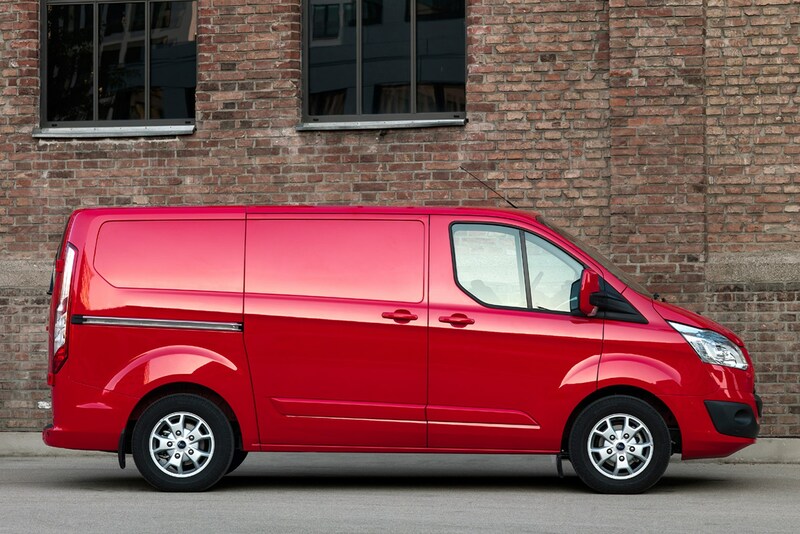 Available from late 2016 with a range of smooth and urgent 2.0-litre turbodiesel engines, if you haven’t driven a van in a while the Transit Custom will surprise you: it not only looks super modern, it’s also great fun to from behind the wheel, with sharp steering and lots of grip making up for the slightly bouncy ride. It also comes in a wide choice of body sizes and trim levels – culminating in the Sport, with its attention-seeking bonnet stripes, bespoke bumpers, lowered suspension and 170hp engine. There’s now a six-speed automatic option, too. Need to carry people as well as lots of gear? Then go for the Double-Cab-in-Van (DCiV) variant, which offers two rows of seating (for up to six) and still has an enormous load area for all your gear. Better yet, the Transit Custom is always in good supply, so there are lots of deals to be had. As with cars, Mercedes is the choice of aspirational van buyers, with an image that properly befits the three-pointed star. Merc vans are built tough, look good and are comfortable to drive. The interiors are a bit boring, but they’re practical and should prove hardwearing. 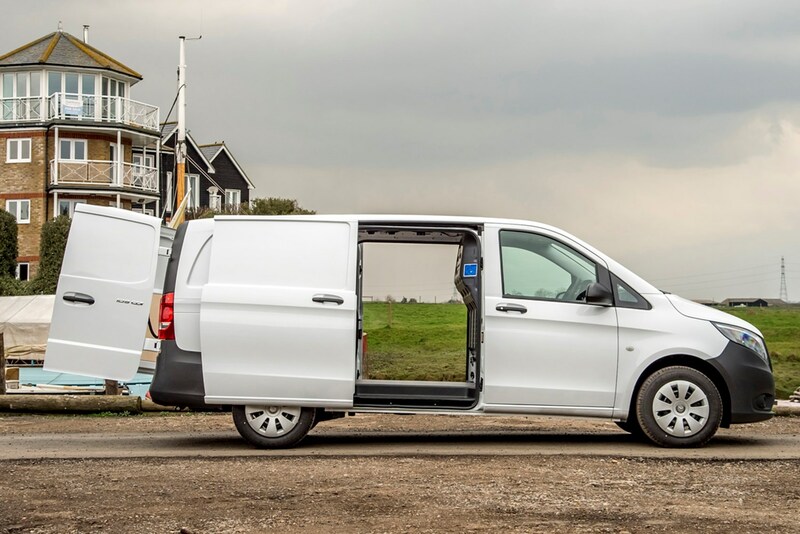 Unusually for a mid-size van, the latest Vito is available with a choice of either front-wheel drive or rear-wheel drive. The former is cheaper and better for fuel economy, the latter gets greater traction, comes with more powerful engines (up to 190hp) and an optional seven-speed automatic. The Vito comes in three different bodylengths, you get easy-clean flooring as standard in the back, and there are a wide range of load lashing options available – from simple eyelets to highly adaptable rails mounted on the floor and the sides. The crew van variant seats up to six, and you get 30 years’ roadside assistance should the worst happen. The sixth-gen Transporter ably demonstrates how VW vans have built up such a cult following. From the crisply styled exterior to the mega-practical cab, it’s both functional and desirable, with a choice of two lengths, three roof heights and a vast array of paint colours. 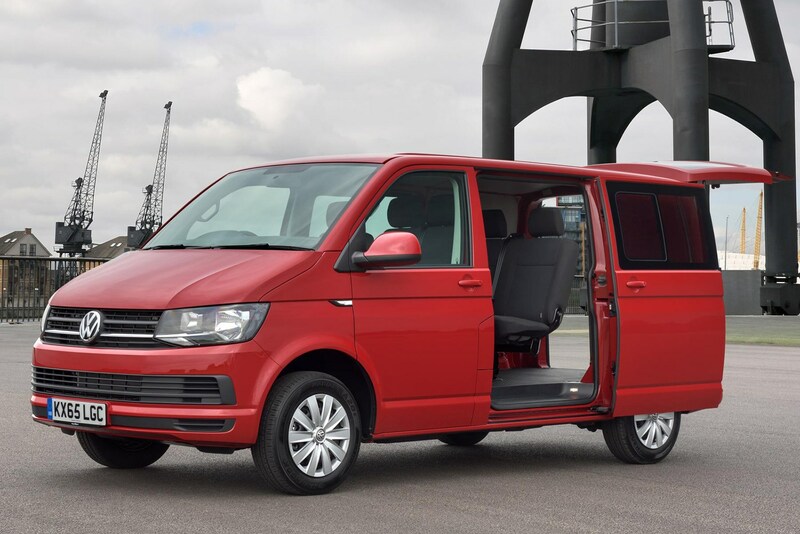 Trim levels include the aggressive Sportline, while the kombi seats up to six (but doesn’t include a standard bulkhead to isolate the load area). There are so many cubby holes and storage solutions in the cab that finding space for something is less of an issue than remembering where you put it. Technology transfer from VW’s car range means familiar, user-friendly infotainment systems and the latest safety tech, too – including autonomous emergency braking as standard. What’s more, not only can get you a Transporter with 204hp, 4Motion four-wheel drive is optional on some models. So you can be confident of reaching even remote fishing spots, without getting stuck.